It is a bit misleading when you first download the game, but you get to try the first three levels and Toad Rally for free. It's $10 to unlock the full game, but there are no other microtransactions in the game. You don't have to wait to recharge stamina, and you don't have to pay to win. It seems like an odd concept for mobile gamers, but you pay once and then you own the game. That's it. Why that is confusing so many people is beyond me. As for that $10 price tag, it may seem a bit steep initially, especially considering you only get 24 levels in the game. The further you get in the game, however, the more you realize that the game is loaded with content. Toad Rally and Kingdom Builder are the heart and soul of this game, and they have kept me entertained for days straight. The gameplay is smooth, fluid, and often more challenging than you might expect. The levels are well-designed and fun to replay, which is great since there are three sets of special coins to unlock in each level. Overall, if you're looking for a fun Mario experience and you don't own a Nintendo system, this game is what you've been waiting for. It's well worth the $10. If you're someone like me who does own Mario on Nintendo systems, the World Tour may seem a bit underwhelming, but Toad Rally and Kingdom Builder are new experiences that will keep you coming back for more. 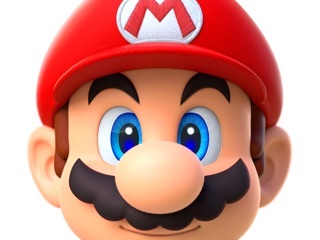 It’s Mario, on mobile, with almost infinite replayability, with controls that are the perfect fix of challenge and simplicity, with many goals to work towards, with updates coming out about every month, with the whole gang of Mario characters (except Wario and Waluigi Nintendo please add them), with so many amazing ideas played out so well, with the best payment system of one time pay and no other in app purchases, with graphics that look exactly like Mario, with gameplay that feels exactly how one button Mario would be like, with a beautiful Kingdom builder, and with the perfect blend of frustration and fun to fill you with happiness whenever you finish a difficult level and get that last set of coins. I personally do not think there are any cons to this game. Nintendo made a risky move of publishing on the mobile market and it payed off. Instead of buying a $40 Mario game, you can get Super Mario Run. A game that you can take with you everywhere and play everywhere. Good luck trying to bring your Nintendo Switch somewhere and not getting weird looks (no offense the switch is actually a great system). With the mobile gaming market expanding further and further, Nintendo made an amazing game to go with it. You don’t have to take my opinion by any mean. I’m just here to help you decide if you do want to buy this game or not.